In just a few hours time, when July gives way to August, it will be my son Will’s 19th birthday – 15 on earth and now 4 in Heaven. 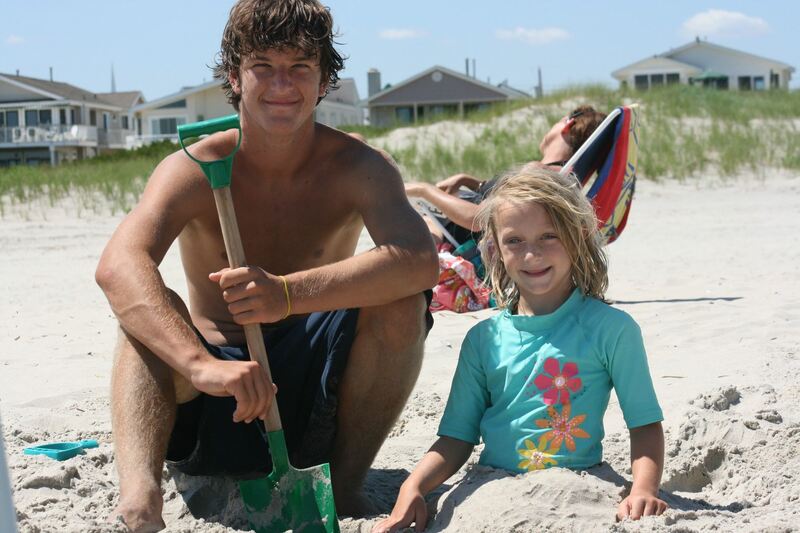 The Trautwein’s will spend August 1st on the shores of Ocean City/Brigantine Beach NJ – one of Will’s favorite places to go. Both my family and my wife Susie’s family will be there. We will laugh and we will cry and we will remember all that is good about our Will. I’ve spent some time these past few days really thinking about Will – more than normal (if that is possible). I feel like I’ve learned so much about him since he’s been gone – and that surprises me. I wonder if he’s learned anything about me during this separation. I imagine he has – probably too much. As I was reflecting on him, I remembered an experience I shared with him and the rest of my family, about a week or so before he died. I had received an email message from “All Pro Dad,” a wonderful, non-profit organization, that helps fathers be the best that they can be. The email was titled “What does your family know about you?” There was a list of about 20 questions or so that the father’s were to ask their children in an effort to improve the dinner table conversations. I printed it out and brought it home – and that night as we all sat and ate together, I told the kids I had a test for them. They all looked at me a bit weird… but also a bit intrigued. I was encouraged, I had their attention (usual dinner table conversation was me saying, “how was school today?” and getting a 1/2 syllable response,) so I had high hopes for this exercise. – “Gwinkle” shouted Will. All the other kids looked at him like he was nuts – but he was right – long story – don’t ask. “What is my favorite vacation spot?” I continued. – “Ocean City” shouted Will -right again. “Name an old girl friend of mine from high school” was the next question. “My favorite band” was next. – “The Beatles” – this time all the kids got it right. – “Chemistry dad” – Will confidently replied. We then went on and talked more about my childhood in Barrington IL and all my other buddies and silly events in my life. The family was so animated around that dinner table- we laughed hard and often. They made fun of me. They teased Susie about my old girl friends – and then, as always, made fun of my bald spot. We were all together and Will was leading the conversation – we were smiling – laughing – together. I was pleased and shocked at the same time. I was far from finished with the All Pro Dad list and I wanted to continue with a new section that was basically called for the opposite approach. Now they had to ask me questions about them, to test my knowledge of their “favorites”. Unfortunately, it never happened, we ran out of time, life got in the way – dinner ended. I still remember being so impressed and pleased that Will knew so much about me… I’m not sure why, but it really made me feel good – I remember thinking “wow, all this time I thought he wasn’t listening” – but he was – they all are – all the time – I’ve learned that – and I try to be continually aware of that. I guess I wish I would have listened more…..
Just 5 days later, Will was gone. We never got to continue that conversation and I regret that. It would have been an opportunity for me to learn more about him. Oh how I wish I would have listened more. Now I sit here on the eve of his 19th birthday missing him more than ever. Wondering what he’s doing, what he’s thinking. I hope he’s proud of me – more importantly I hope he knows how proud I am of him. Yes, there is a sadness that will continue through tonight and into tomorrow, but like so many times in my “new normal,” I find also a wonderful peaceful feeling inside that Will is indeed with me – helping me – teaching me – making me better. I know he’ll be with all of us on Friday…. August 1st is now a holiday at the Trautwein home – we celebrate “All things Will.” We each talk about our memories of him – they’re all different – I guess that helps us get to know him a little better – even today. Happy Birthday Willy Boy! We all continue to carry your light of love. Every time someone says “Love ya man” – it’s my prayer that you “feel” it in Heaven…. Know that I Love You Man! Thank you so much for sharing. We cannot imagine how you have dealt with the passing of your child, but you have done so with such amazing grace. Your whole family is an inspiration to all of us. I have had many open conversations with my kids, talking about their feelings, especially when they are down on themselves. We have run your 5K almost every year, have used your son as a talking point and guess what we will be talking about tonight at dinner? What was my husband’s first pet, his favorite band, etc. Thank you for your outreach. You have touched so many lives and helped so many families. All the best to you and your family. We will be lifting you all up in prayer the week. You and your family are truly amazing! You are all an inspiration to parents and children. I hear in the lower k-5 school I work at kids saying I love ya man! 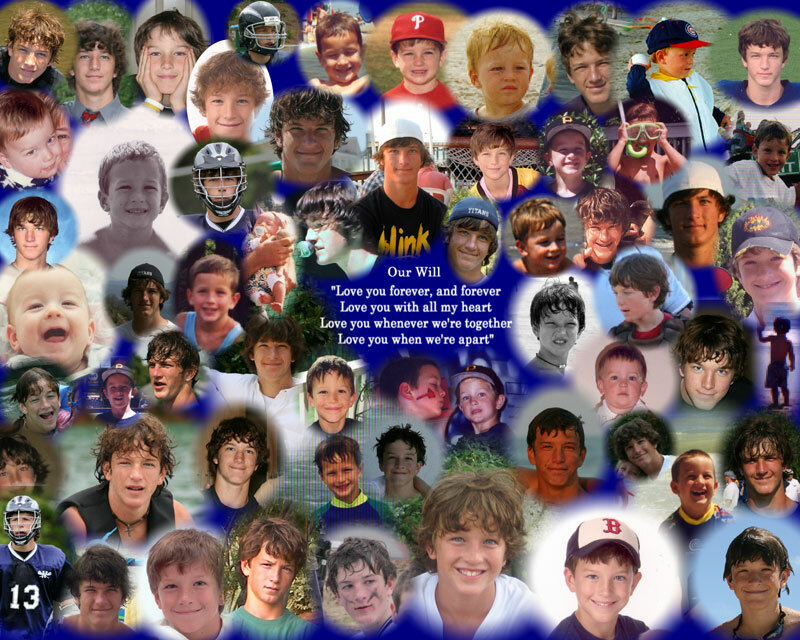 I will wish a Happy Birthday Tomorrow and I will say a prayer that your family can laugh through your tears as you remember a swet, handsome boy Named Will. Beautiful words John. your strength and honesty are an inspiration to everyone who know you brother.Mine will be a day of prayer for you tomorrow and from now on on Will’s Birthday.Love ya man! Awesome John, incredibly moving and we all love ya and your beautiful family! This is just to wish you and yours a joyous time together and a sweet and gentle remembrance. Thank you! This is beautiful…you are a wonderful Dad! Will is a beautiful young man! May God bless you and keep you safe and loved and cherished. Johnny well done…well done!! Happy Birthday Will. This is such a beautiful tribute to a Will. I wish I knew him, but it’s funny that he knows who I am so I feel a bit of a connection to him (I knew all the answers except….who was Gwinkle?!! ). Your kids are so lucky to have you as such a dedicated dad. I don’t think my son could answer those questions about me… Guess I have some work to do! Love ya man! Thank you for sharing so much of your life with others, I am sure you know that others have been touched with your honesty and courage, I know that I have. I remember Will and his sweet smile from preschool days at COH and know that he is smiling down on his family. I will continue to pray for your family, my prayers will be that you will continue to share the laughter and tears with your family and that you will celebrate that you will be reunited again. John – so well done. Thank you for sharing this. My heart hurts for you and Susie. Praying that you guys have peace on this special day. John & Susie – Love ya man! Such a profoundly touching message John. Know that we all think of you and your family every day. So sad that you have to endure this, but so thankful that you have touched our lives in unimaginable ways. You have made me a more patient, mindful and involved parent and for that I thank you. I hope that the words from your friends and community can continue to hold you up for as long as you need it. Much love to all of you. So we’ll written John. You and your family are in our prayers. john. You write do butifully but I think it’s bc your love, devotion to your family, and passion towards Will comes through in your words. I just left a lake weekend with my boys– and was in the midst if driving home when I read your blog. I just started crying! Eric said WHATS WRONg?! And I just screamed that I love my boys and hope they know that wherever they go. It’s soooo obvious to me that Will idolized you. And it makes me feel good knowing that he has you in his heart. Happy birthday your FUN SWEET BOY! I have been waiting almost four years to find a way to communicate with you and your amazing family. I was that sweet boys 3rd grade teacher. Ironically, that was my last year teaching. I was out of the country when Will passed away, and My heart sank when I heard the news. I just want you to know what an amazing impact Will had on me. I remember telling Suzie that if I had a son, I wanted him to be just like Will. And when my children were born, Will and Grant Alexander were the two kids that came to see my newborn children. (They are now 9 years old). A few years ago, I came across the picture of Will holding one of the babies and I held it with a tear in my eye and heart. Thank you for allowing me to love and teach your son. He taught me more than anyone knows. Got bless you all.